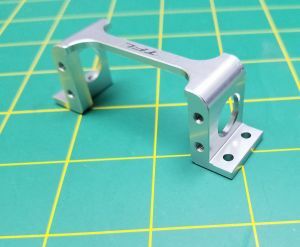 Silver anodized servo mount for standard size servos(for example Futaba S3003 etc.). Screws included. 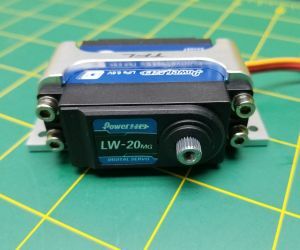 Servo NOT included. 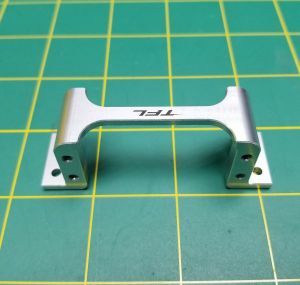 Notes: For use in a rc boat this will require either screwing threw the hull, gluing it directly to the hull or a wooden base to screw into. 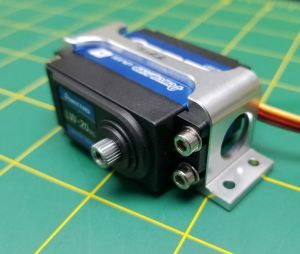 Some servos will require slight modifications if there are bulges or wires sticking out of the sides.